This chapter explores the reception of Hollywood’s 1980s puppet blockbusters by contextualising such films within the industrial landscape of the time. It offers up an analysis of this cycle of filmmaking in order to shed light on the specificity of puppetry as a special effect, understanding the uniqueness of live-action puppet cinema in relation to the wider culture of popular effects reception. 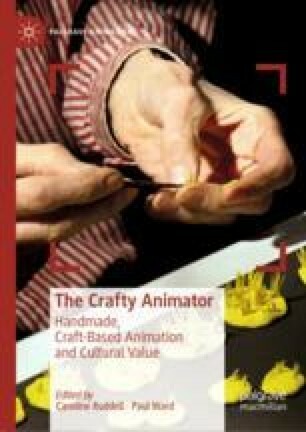 At the same time, it contends that the puppet’s role within the reception of the early blockbuster gestures towards a shifting relationship between animation and craft being played out within popular culture during this crucial phase of Hollywood production. Ward, Paul. 2000. “Defining ‘Animation’: The Animated Film and the Emergence of the Film Bill.” Scope. https://www.nottingham.ac.uk/scope/documents/2000/december-2000/ward.pdf.